This Post Is Sponsored! As Always, All Opinion Are My Own. Thank You For Sponsoring CItyGirlGoneMom! There were so many things that went through my head when we prepared to add a 4th baby to the bunch. How would I meet the needs of all of my kids? Would the others adjust or just panic? How could I possibly balance this seismic shift of a growing family? These feelings are all part of the growing family process. 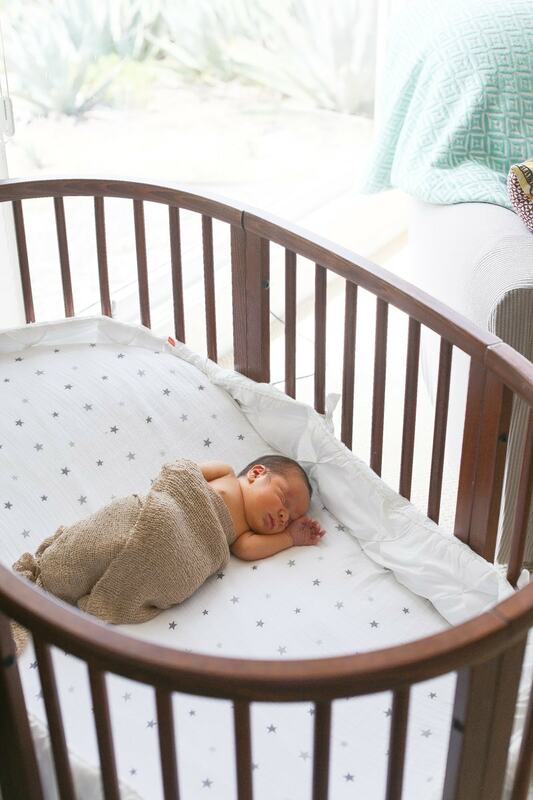 Luckily, baby Brody joined our family and we found ways to positively find our rhythm as a family of six. One key thing I found a bit hard was letting my children explore with one another. I didn’t grow up with siblings, so this never really occurred to me. 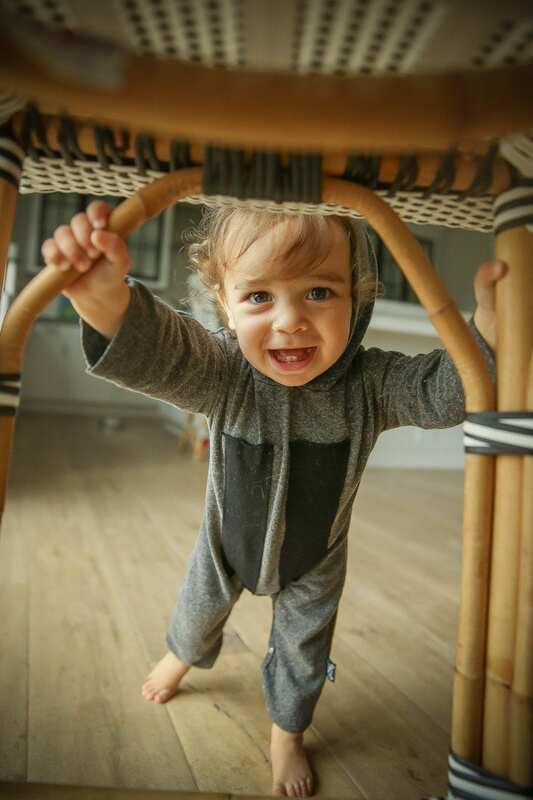 Now, I make it a point to let each child spend time alone with baby Brody. I learned not to overreact when they test their limits with him (as long as it’s within reason). I try to be loosely bound when parenting, but with one eye always watching. 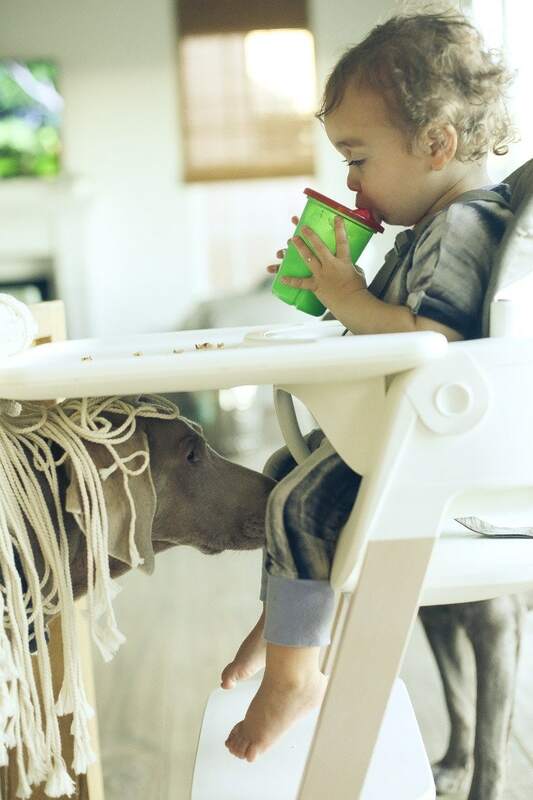 At the dinner table we allow each kid to feed him, with supervision of course. 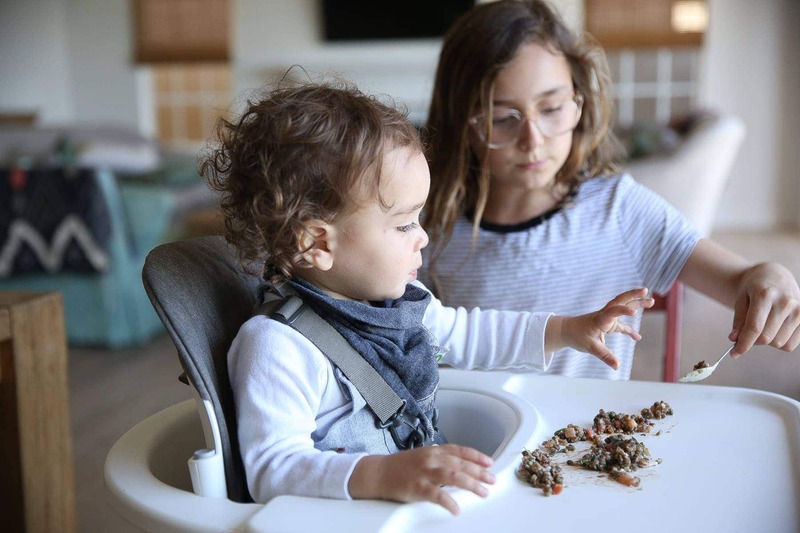 I step back, allowing them a chance to bond with their little sibling, and the Stokke Steps High Chair makes this seamless. 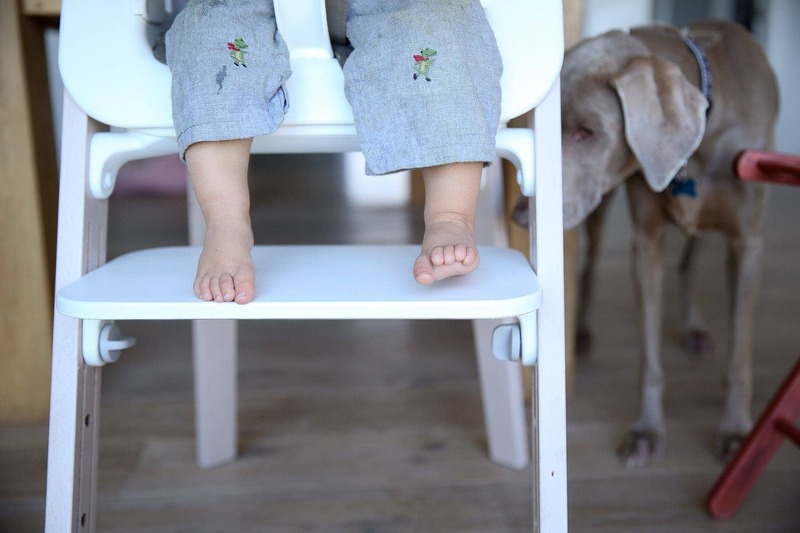 We have been a fan of Stokke for many years, ten years to be exact. 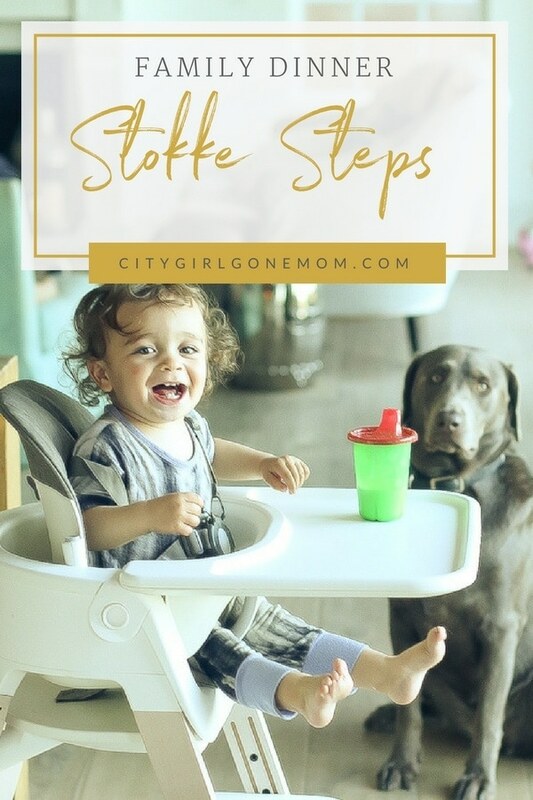 All four of my children slept in our Stokke oval crib and we have several of the Stokke Tripp Trapp iconic chairs that pull up to the table and can convert to any place in your home. 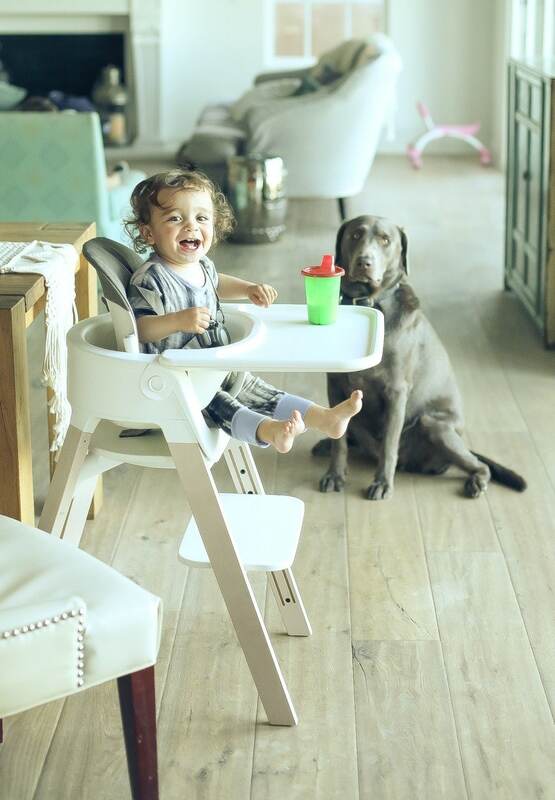 However, what I love most about the Stokke Steps High Chair—besides its modern, sleek design—is the oversized tray. 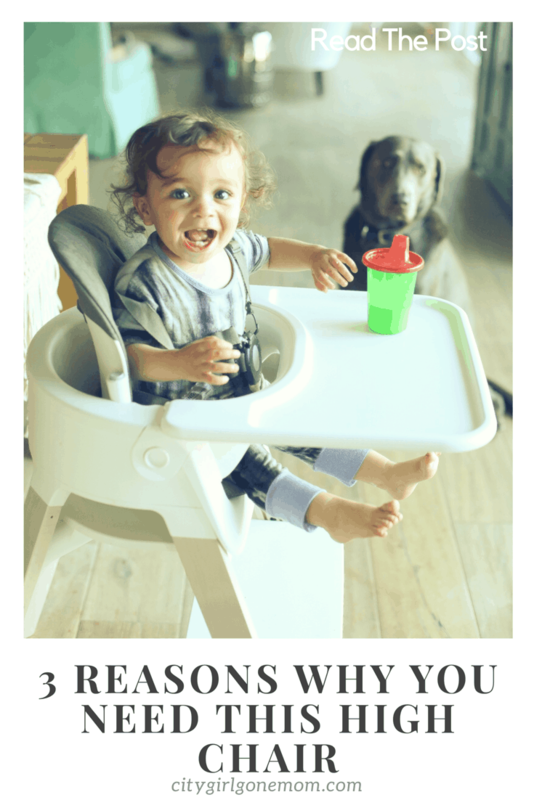 We used to have the baby at the table with the Tripp Trapp chair, which we loved, but he always managed to put his food in the crevices of our reclaimed wood table. This new design is perfect. Brody now has his food contained and can happily create food art on his own tray. 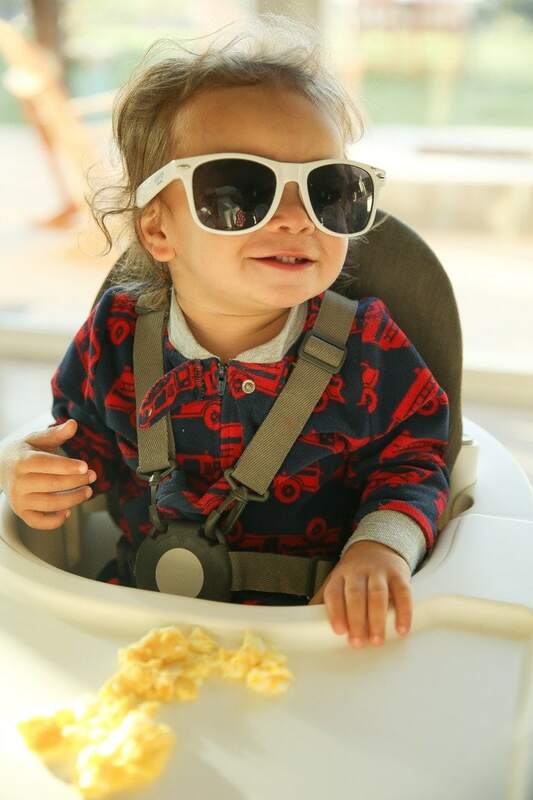 The other three can also interact and help feed him, fostering their desire to be an older sibling that wants to nourish and protect their little brother. At the end of the day, kids are kids. They will push the limits with their siblings. They don’t mean to hurt, but sometimes they don’t understand their own strength, especially if they are only a few years older. I remind my bunch to be gentle, that babies need to nurtured, and not poked or prodded in any way. They know not to pick up the baby or give him a toy without asking me first. And they never feed the baby unless I’m supervising. 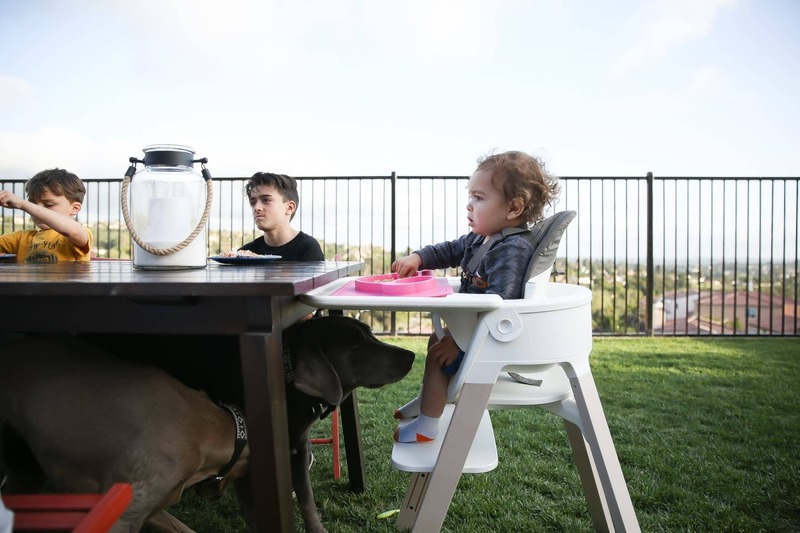 We do a lot of homework and activities at out table and Baby Brody wants to already be involved at a young 18 months old. 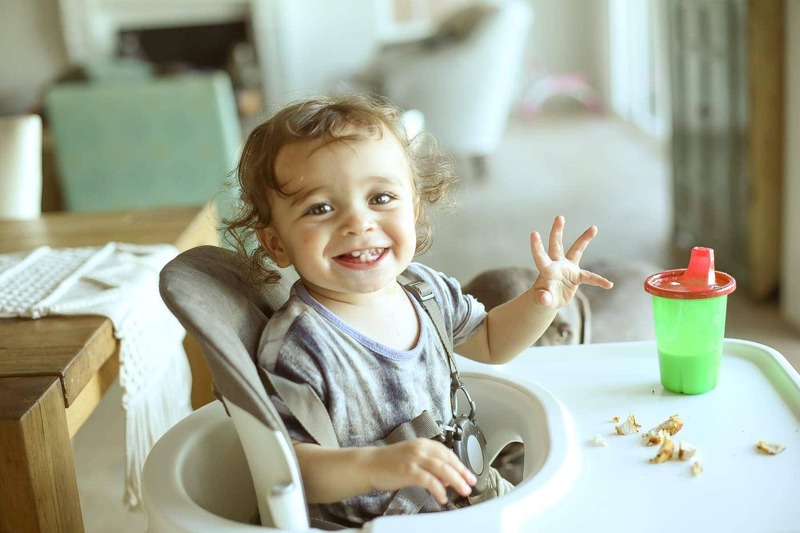 I am able to let him interact at table height with the Stokke Steps High Chair because it has a superior 5-point safety harness, keeping him in place. I don’t have to worry about him climbing out, or Roman trying to pick him up, because he is safely buckled in. 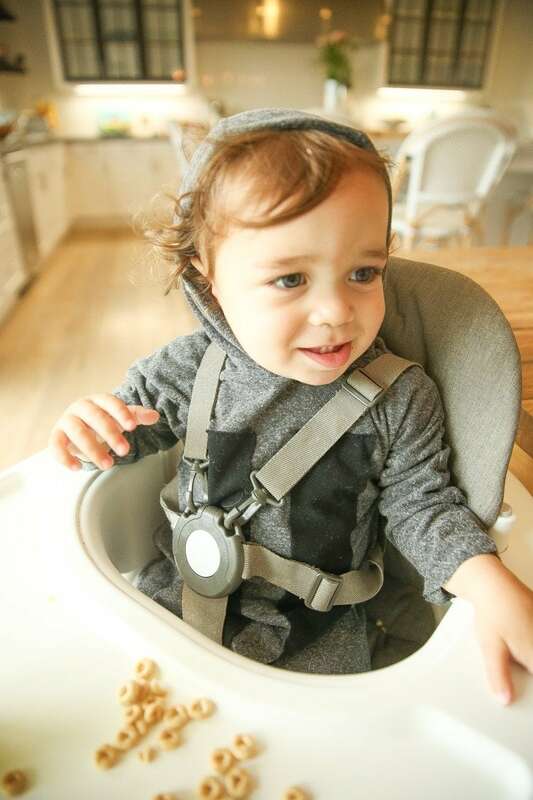 I love how you can easily adjust the straps so they fit snug, keeping the baby nice and secure. I can prepare my meals and not worry about him crawling out of his chair. Another perk? 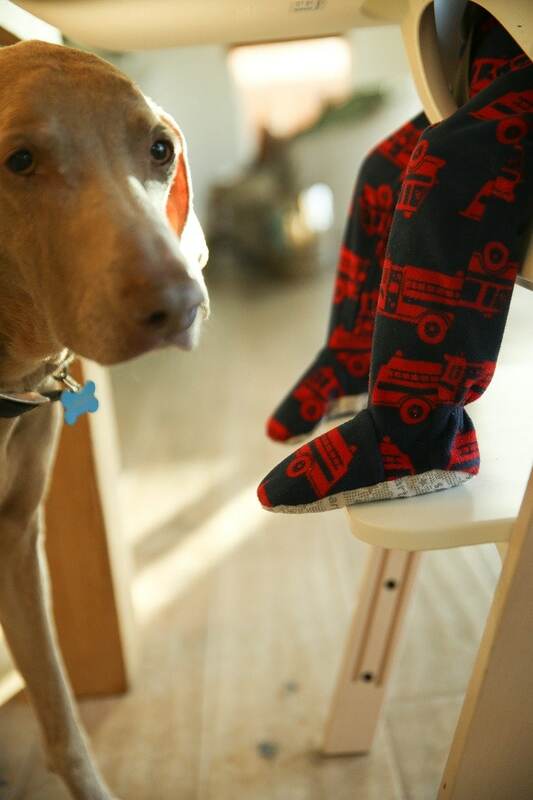 The adjustable foot rest can be moved as your child grows. His feet never have to dangle. I have been working really hard as a mom to make sure each child feels important. We started date nights for the kids, and this one-on-one time has been beneficial to my children. The baby should also feel like he is one of us, instead of always reaching out to be held. 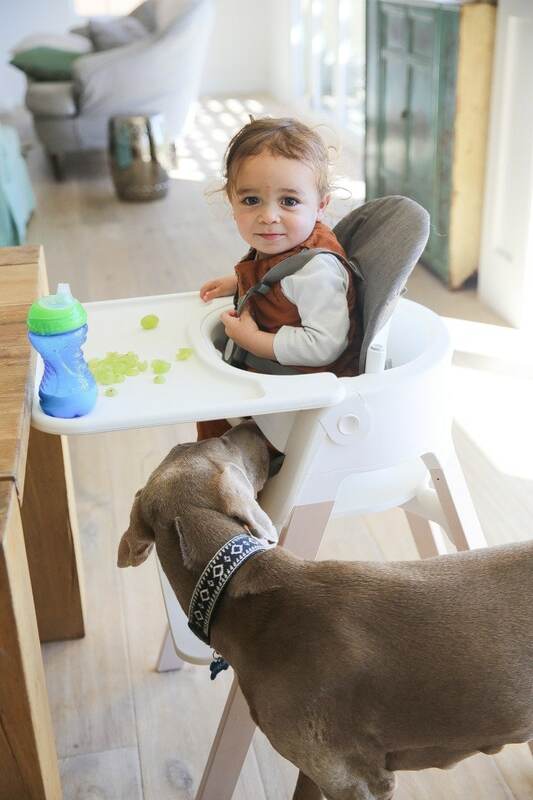 The Stokke Steps High Chair is a must have for so many reasons, one being that it works with the Stokke bouncer. 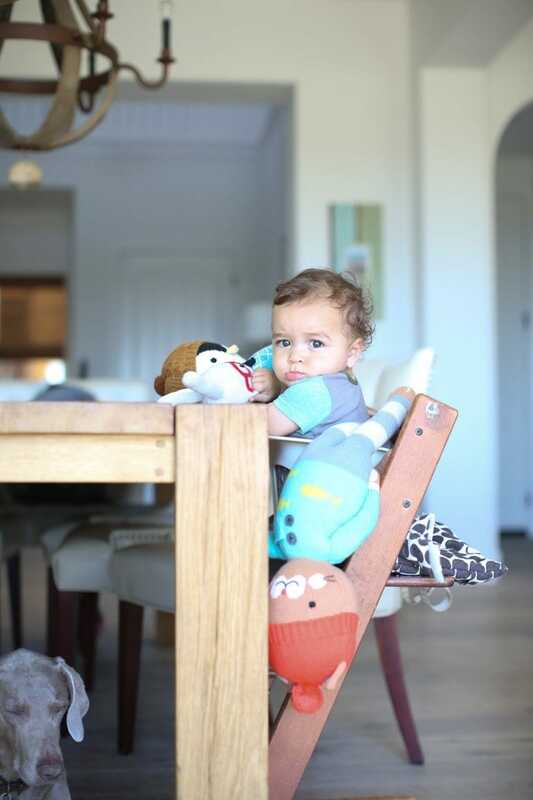 The Steps Bouncer can can be fastened right into the Steps Chair putting the baby at the same level as his/her family. 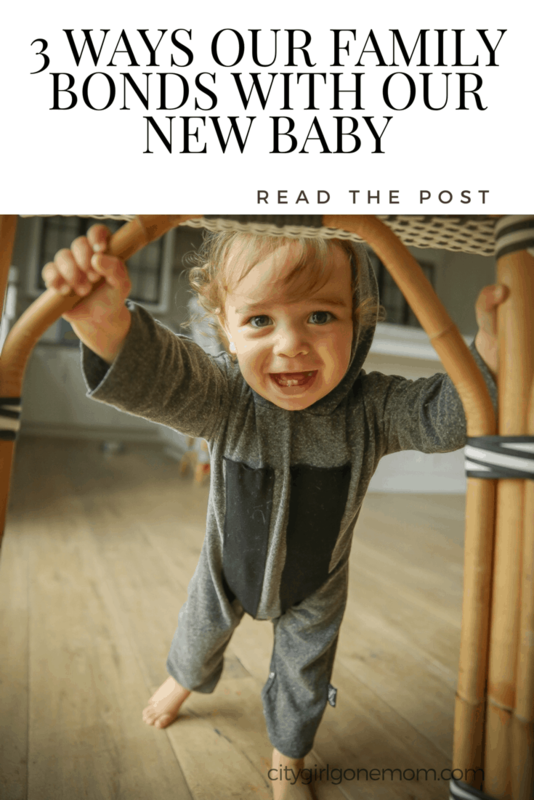 So instead of waiting until the baby can sit up, he is at your level right from the start. 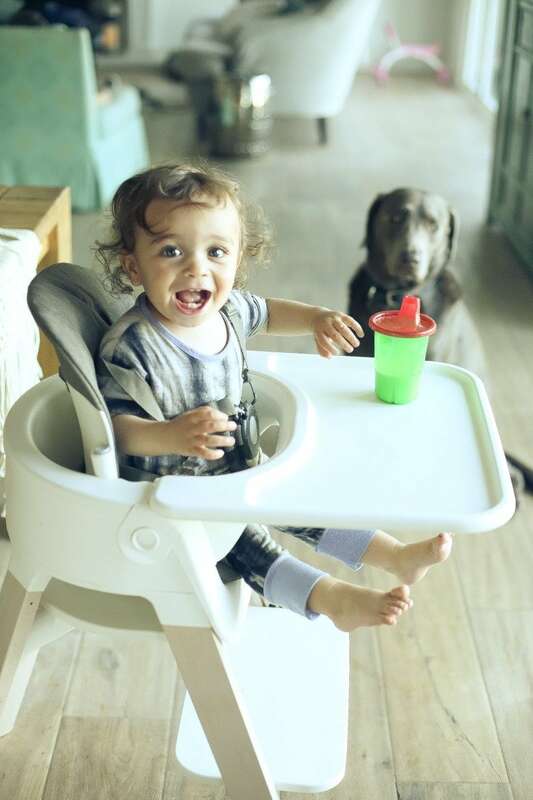 The tray, which is removable, enables the baby to sit directly at the table. 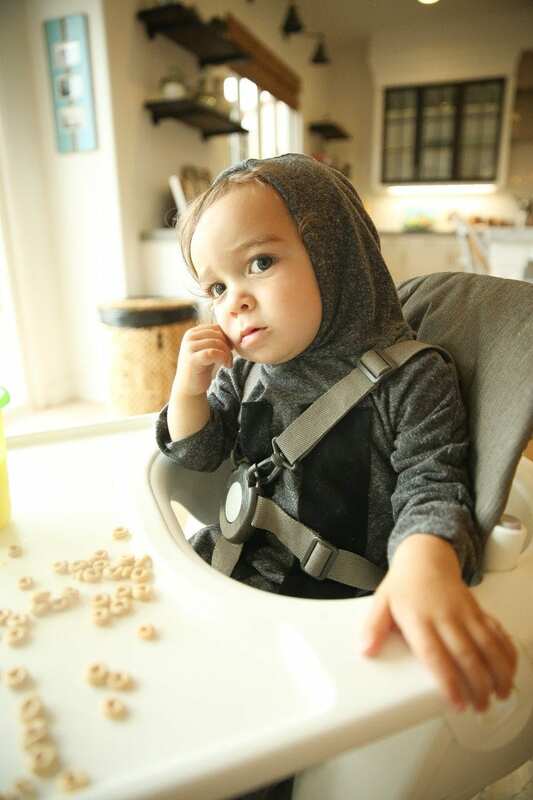 When he turns three it can be turned into a chair like its counter part, the Tripp Trapp. 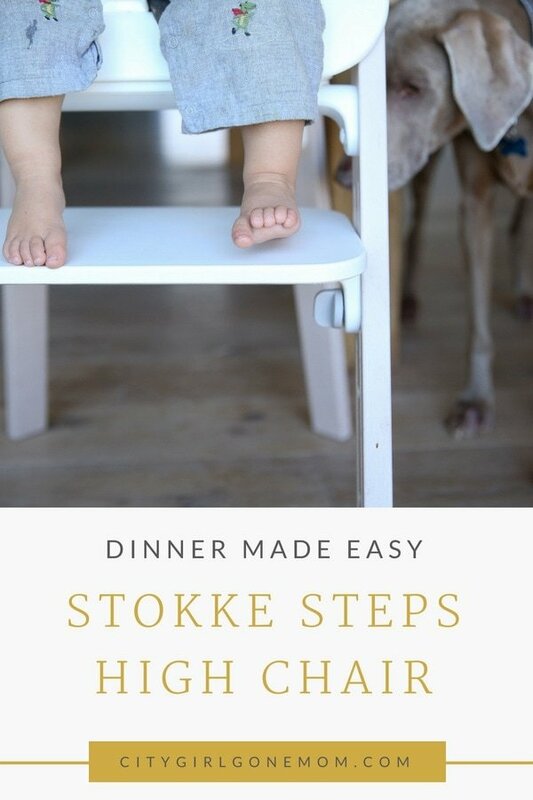 I love how parents can personalize their own Stokke Steps Chair system with all the components that are sold separately. We opted for the white wash legs and grey cushions. We all know that parenting can be like circumventing the globe without a map. 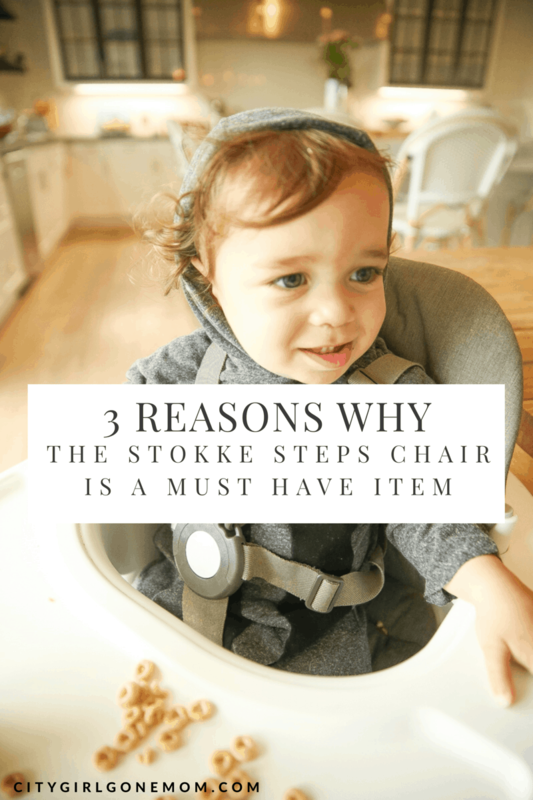 I love that Stokke provides products that grow with my growing family. 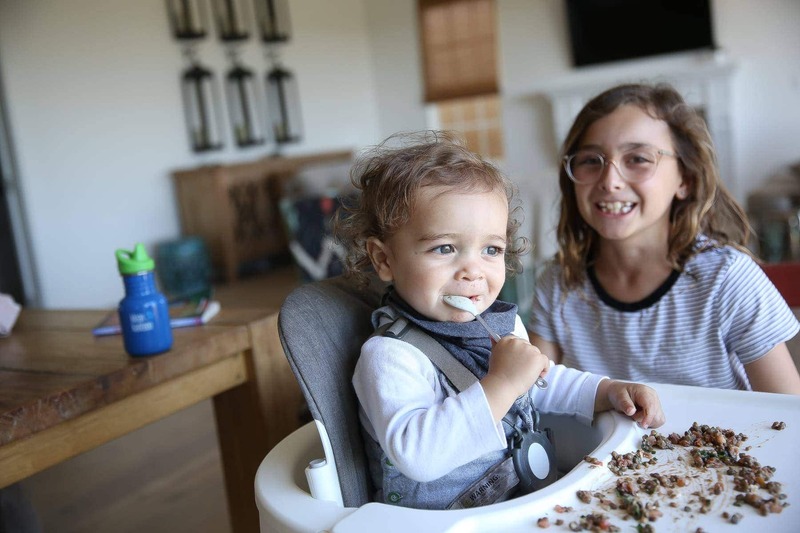 My children can interact and bond with one another and I know they are safe, which gives this mom some necessary peace of mind. Watching them play together, and teach one another, makes me appreciate their sibling love all the more. I can’t wait to see their bond continue to grow. 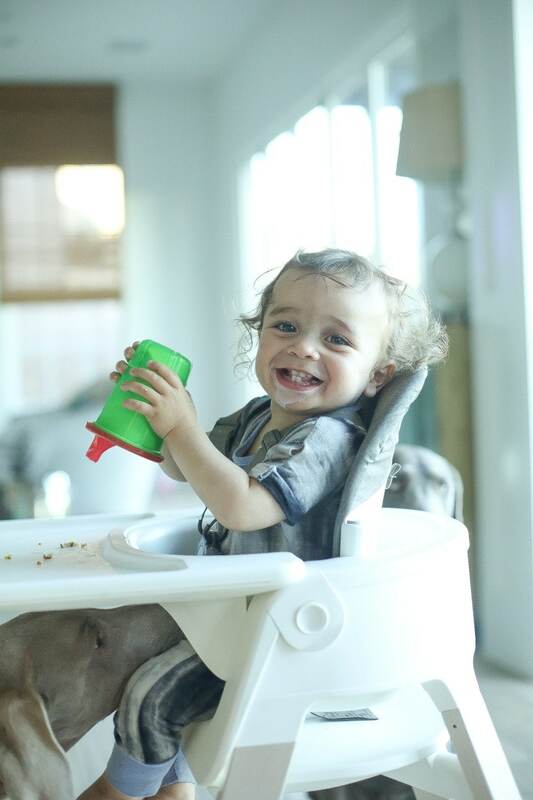 Brody seems to love his Stokke high chair. The clean lines are what won me over. Truly a must have! !